= More addicts dying and more families suffering than ever before. The increased demand for addiction treatment has attracted treatment hustlers. What are addiction treatment hustlers? Addicts that got clean in treatment, and saw the opportunity to use the hustling skills that they used in their addiction in a new hustle: instead of hustling drugs, they hustle “recovery” from drugs. Professionals that were disgraced, arrested, or disbarred from various professions, and found a new opportunity to make money in a field where, according to an old friend, “a felony looks good in a resume”. Investors creating, or buying, treatment centers with the sole purpose of reselling them for profit. Why do their treatment centers fail? 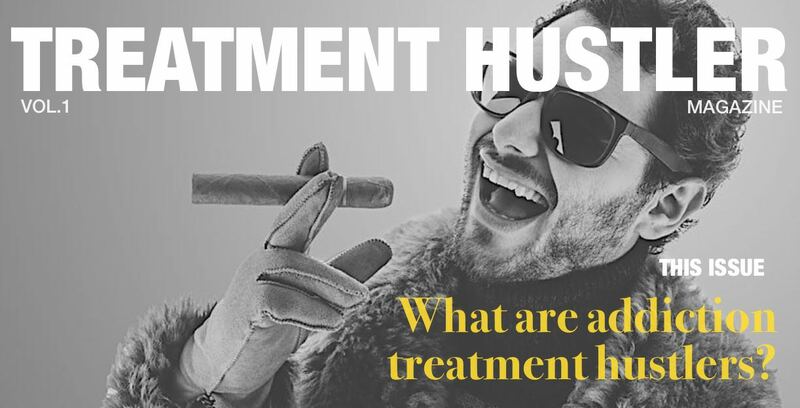 Hustlers are not educated in what constitutes high quality Therapy. Hustlers are not educated to discern the qualities that a person needs to have in order to hire talented therapists. The most common practice is to hire clinicians on the basis of how good they are in marketing, passing licensing requirements, rationalizing bad treatment, and saying yes.